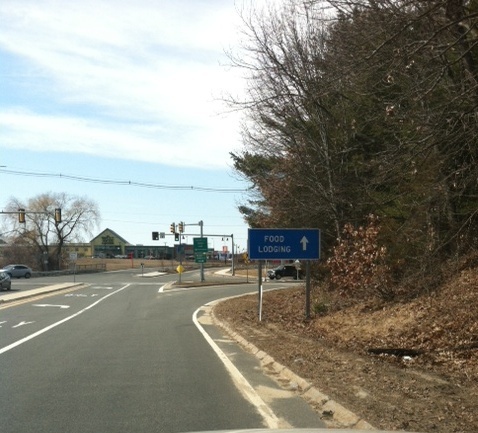 MA DOT has been very responsive on the two issues of the the open well and the signage. Thank you District Engineer Paul Stedman, and your staff. 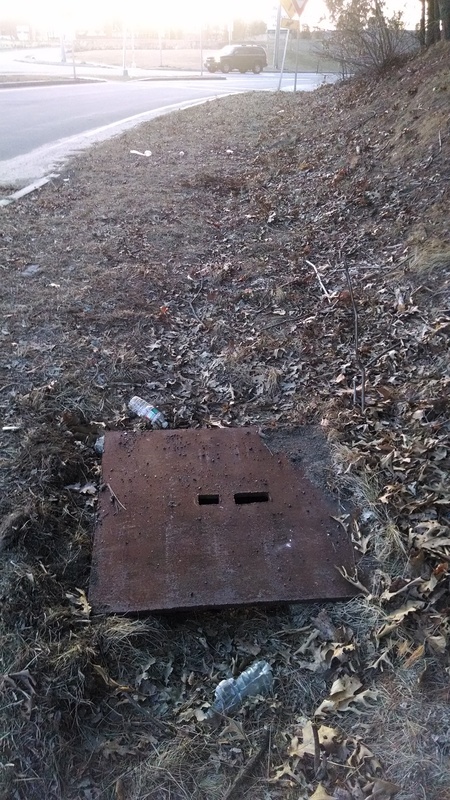 MA DOT has placed a heavy metal cover on the open well and will make further repairs later. Will you posted. National Development was not able to attend the meeting so the Selectmen postponed the hearing till Monday April 14th at 7:15 PM. Will send a reminder to all and let you know when the Planning Board will be hearing the article. 1. The first photo shows an exposed well / hole on the exit 43S that is at least six feet deep and partially fillwed with water. 2. The second photo suggests that the state change the arrow instead of pointing right that it point straight ahead so people get to Market Street without having to turn around on Country Club. There is a Selectmen’s meeting tomorrow evening (Monday March 24th) at 7:00 PM in the Selectmen’s room at Town Hall. At the meeting there will be a hearing on an article for the April Town Meeting for the town to accept a parcel of 19,951 sq ft as a public way. This will enable the State to put a sign up on the highway directing people to Market Street at no cost to Market Street. If this is not done, Market Street would have to pay to have the sign put up. There are questions about what liabilities the town will be assuming by accepting a portion of the street as a public way. Usually this is means that the town is responsible for plowing, trash pickup, maintenance of the road, etc. Please attend and provide any your input. The following is a table from the MA Dept of Revenue that shows the quarterly meals tax payments that Lynnfield receives. The numbers lag a quarter so the December increase is for the prior quarter. It will be interesting to see values when the Sept-Dec 13 are show in another 3 months.